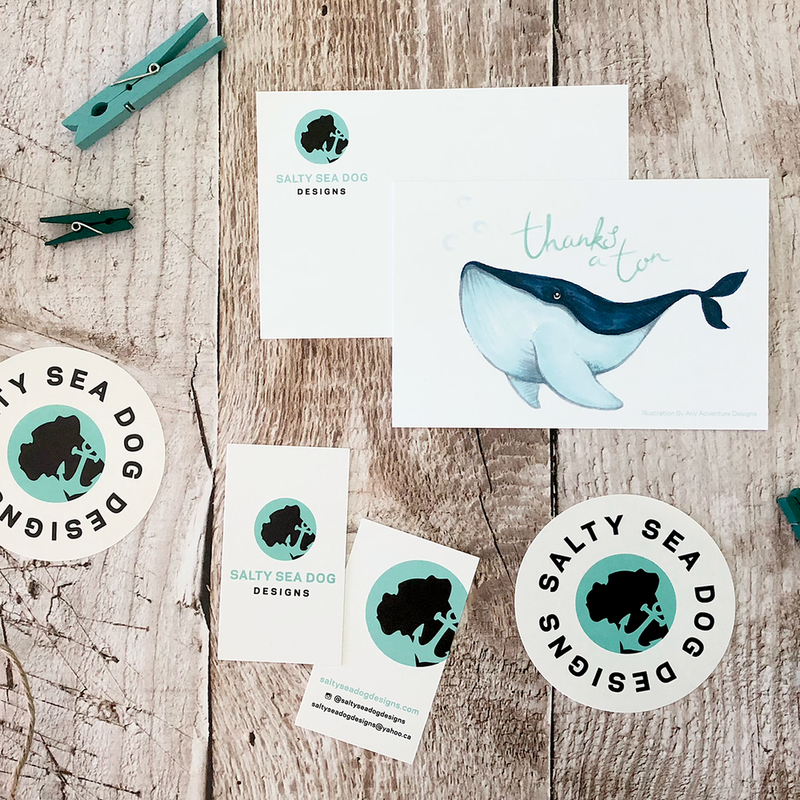 Salty Sea Dog Designs is a small ceramics business located in Calgary, Alberta. Run by a husband and wife duo, Salty Sea Dog Designs creates unique mugs and other pottery inspired by popular culture and the ocean. I was asked to design their logo as well as some supporting print materials such as business cards, thank you cards, enamel pin packaging and stickers that they hand out to their customers at local marketplaces.